In today’s world, it is in the best interest of all companies who want to succeed to have a strong e-commerce element which allows their customers and clients to not only browse through the goods and services on offer online, but to also actually make those transactions. Being a full-service agency, we understand how important e-commerce is for our customers, and offer development in this area for any business or project. There are several ways to excel in the world of e-commerce, and we strive to keep our customers on top of them all. 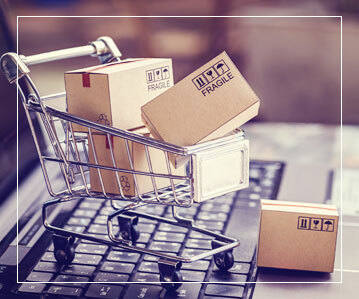 Our approach to building excellent e-commerce websites is distinct in that we incorporate a variety of strategies into our design plan that will always suit the specialised needs of the client and their business. Each e-commerce website is designed according to what will best suit the company and their customers. A custom-made online store is part of the website package we offer as part of our digital tools and services. This will serve as a portal for your customers to browse through the products or services your business offers, obtain all the information they would receive in-store, or in the office, and easily make their purchase. In addition to creating customised online stores, we can extend your business to Shopify, the popular and powerful platform that allows businesses to operate online. 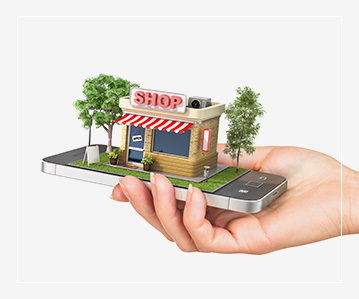 Here, we will not only create an online store for your business, but allow you to sell and promote your goods and services in several places, including social media and other online marketplaces. Your products, inventory, payment and shipping will all be taken care of as part of the package. 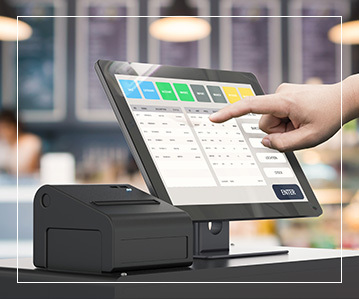 As we take care of online transactions for your business, we also offer integrated POS, or integrated point of sale, to ensure all your online dealings are secure and easy to use. This completely equipped checkout method makes purchasing simple for your clients and customers on all devices by integrating multiple systems. 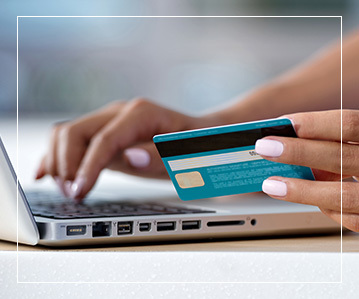 In order to ensure your business is functioning at its best online, we also provide online payment integration. This payment gateway will allow all credit cards and direct payments to be processed quickly and easily, and is becoming increasingly necessary and relevant in the current digital age where customer convenience and satisfaction is a top priority.